The Free Application for Federal Student is a common application used by colleges that award federal student aid. The application may also be required to apply for financial aid through the state, school or private agencies. The information collected on the application will be used to determine the type and amount of financial aid you are eligible to receive. Other factors will also be very important such as the date your application is received, amount of funding available and the number of applicants competing for the funds. Please allow sufficient time to complete the application. All applicants and their parents if they are dependent must establish FSA User ID and FSA password. We will do our best to process your documents as quickly as possible but, depending on the date you submit your documents, it may not be possible for us to complete the review before the start of the term. It may be necessary for you to pay your fees for the term on your own and be reimbursed once you are awarded. If you used the Internal Revenue Service Data Retrieval Tool (IRS DRT) when filling out your FAFSA form, you may not have to verify that information. If you didn’t use the IRS DRT, or if you filed an amended tax return and used the IRS DRT, your school may require you to submit a tax transcript as part of the verification process. You can find your tax transcript through the IRS’s Get Transcript service at irs.gov/transcript. If your child is considered dependent, she will need your financial information to complete the Free Application for Federal Student Aid (FAFSA) A dependent student is a student who does not meet any of the criteria for an independent student. An independent student is one of the following: at least 24 years old, married, a graduate or professional student, a veteran, a member of the armed forces, an orphan, a ward of the court, someone with legal dependents other than a spouse, an emancipated minor or someone who is homeless or at risk of becoming homeless. order a print-out of the FAFSA PDF. After you submit the Free Application for Federal Student Aid (FAFSA), there are additional steps required before financial aid is disbursed to the student. 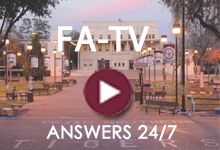 Texas Southern University will verify your eligibility for the different financial aid programs. Follow the first 6 steps to ensure your file is complete and in line to be processed. Check to see whether the FAFSA has been processed through FSA website or by contacting the Federal Student Aid Information Center at 1-800-4FED-AID or 1-800-433-3243.
Review the output received from the office of Federal Student Aid at the U.S. Department of Education. You’ll get your response within 3 – 5 working days. If you find any errors in the information on your FAFSA, make corrections to your FAFSA. Review the output received from your FAFSA to see you if you have been selected for a process called verification. Submit your verification paperwork to Inceptia for processing at the following link ?????. The student will be required to establish log-in credentials prior to completing the verification interview or uploading documents. You may request a copy of your federal tax transcript, non-filer’s or wages statement through the IRS’s Get Transcript service at irs.gov/transcript. The estimated cost of attendance is not your actual bill or invoice for the semester. The estimated cost of attendance is based on the average costs you may expect to incur as part of their educational experience. The information is derived to use when calculating your eligibility for financial assistance. Your actual costs incurred may be higher or lower as the information is based on the average cost for students with the same profile.. 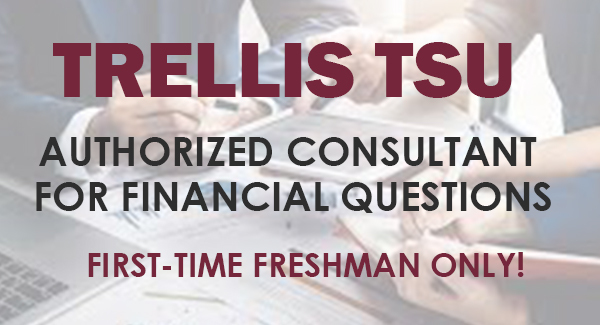 This estimate is intended to provide estimated information and shall not be binding on the Texas Southern University. The information will be useful when you create your financial plan to pay for your costs for the year.